So, with the above in mind, I thought I’d do a bit of my own research. Using a drag and drop website builder on an inclusive service - check exactly what is included, but you should be able to get something live without too much technical expertise. Arranging hosting and installing a CMS - a little more skills required and probably best getting a web developer to install and design for you with a view to you managing your own content long term. If you want to have a go yourself you could have a look at Wordpress or possibly Joomla. Some hosting companies provide 'one click' install which can ease the process. This is the free option that I hear the most about and this article here was written August 2016 so is reasonably current at the time of writing. Easy solution for DIY website owners. Free plan available so long as you don’t want your own domain name. For example, you will need to use yourwebsite.wix.com and paid for plans are OK for short-term projects. Simple back end interface for you to build your website. Page load speed and security is good. Long-term pricing. Even the starter plan doesn’t remove their ads from your site. For more than a few months they will be more expensive than building your own site with a CMS. Drag and drop design is good in theory, but still requires quite a bit of time and effort to produce something presentable. Essential SEO tools are there but they can be tricky to implement. Some limitations with advanced marketing tools. Restrictions on bandwidth and storage on all plans. You cannot move your website. You will remain tied to Wix although they are working on this. Just recently I have started to hear a little more about this one although Squarespace has been around a little longer than Wix. I have also had a few customers who have come to me after they have come unstuck. This first review of Squarespace was updated this month. Squarespace Review – More Illusion Than Reality? Beautiful mobile friendly template designs. SEO is considered to be slightly better than other drag and drop website builders. A Squarespace website is ‘portable’ so you are not tied to Squarespace and you can import your data into Wordpress for example. All plans are ad free. No restrictions on bandwidth and storage. 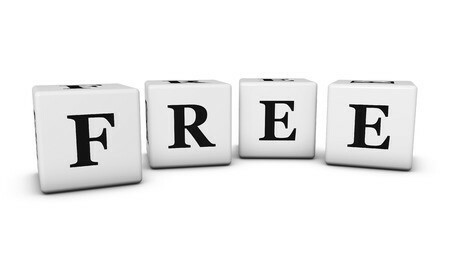 There is no free plan … although are any of them ever really free. Extensive styling options can be overwhelming to the average user. Domain name purchase cost is higher than average. SEO has some limitations for blog and product pages. Page speed can be slow. This is the only website builder I have first-hand experience of and that was about 5 years ago so I’m not up to date. Both these articles have some useful information and the second one is recent. Free plan available but with restrictions, this can be upgraded. If you have the free option then your site is hosted on Weebly’s domain so you won’t have your own domain name. The blog tool is limited. Once you start to have a paid for service it can be more expensive than traditional means of hosting a website. Search engine optimisation. Both on site and off site and they will be able to point you in the right direction with the latter. Plus ... you will more likely end up with a website that will grow with your business. A web developer will also be able to advise on many things that you may not even have considered when it comes to getting your business online. If you'd like to have an informal chat about developing a new website so that you can make an informed decision why not get in touch on 01494 537612.